Last year Lara Krude won over Designer for Tomorrow‘s patron Stella McCartney and the rest of the jury board with a collection that was an homage to the craft of tailoring and her late grandfather, a tailor himself. Under the title ‘was bleibt’ (‘what remains’ in German) the collection consisted of loose and asymmetrical silhouettes, proposing the question of how tailors are almost non-existent anymore. Of the collection, Stella McCartney said that “Lara narrates a very personal story. I have the feeling that her work is of great importance for the current changes in the fashion world”. What followed was a one-year sponsorship program produced by Peek & Cloppenburg Düsseldorf, during which Lara has designed a capsule collection for the P&C label Joseph Janard – her first collection for women. 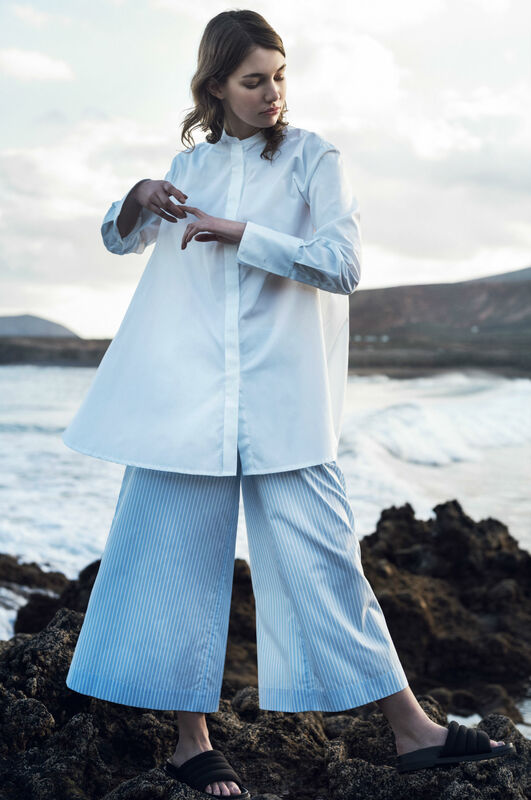 This time around, Lara turned to the orient to seek inspiration and the result are pieces that combine traditional shirt fabrics and a wide cutting technique, influenced by her Asian contemporaries. 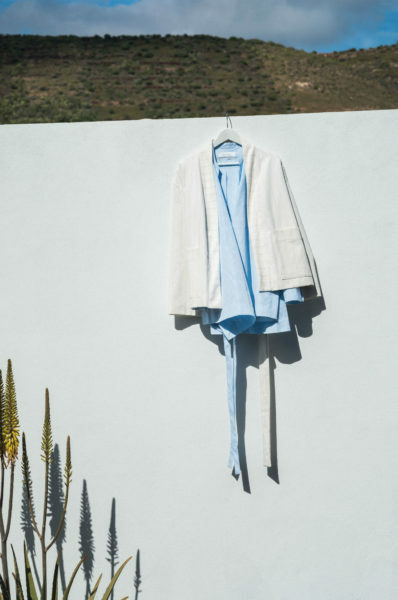 With the loose fits she explores the space between the body and the garment, where, according to Japanese tradition, the heart of our feelings lies.